The changes in cold-season mean temperatures over Arctic land regions are broken into three latitudinal bands for each region, as shown on the small map (which has an outer rim of 50° N). Error bars represent standard deviation from the mean. 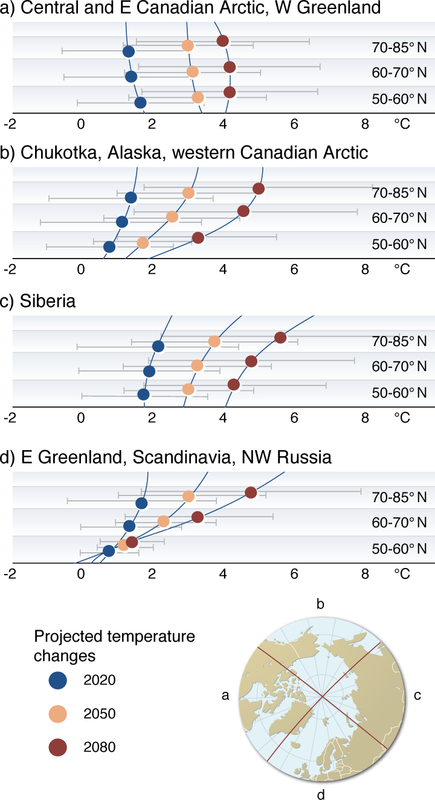 Where greater warming is projected at higher latitudes than at lower latitudes, temperature gradients will be reduced along large north-flowing rivers and this will likely reduce break-up severity. 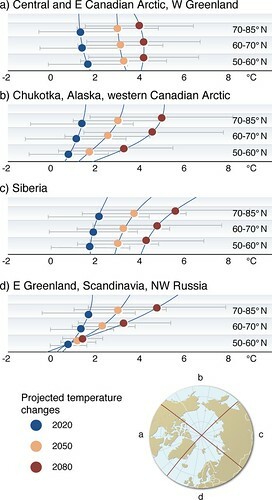 The reverse is true for regions where warming is most pronounced in the southern latitudes.